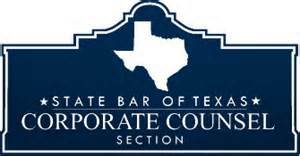 Texas Lawyers for Texas Veterans-Tarrant County Chapter, (“TLTV”), is a community service committee under the Tarrant County Bar Foundation, a nonprofit organization with a 501c(3) status. TLTV encourages and recruits Tarrant County attorneys to provide legal services for veterans and spouses of deceased veterans with legal issues in Tarrant County. TLTV organizes legal clinics to coordinate with individual volunteer attorneys who provide consultation and legal counseling in family, consumer/finance, probate, estate planning, bankruptcy, landlord/tenant, criminal and other legal matters. The program does not provide assistance regarding veterans’ benefits. The clinics are held at the Fort Worth VA Outpatient Clinic, 2201 SW Loop 820 or at Tarrant County College-South Campus; usually on the third Friday of every month. Please see contact page to call for an appointment. No clinics are held in the months of March and December. After the legal clinic, if the veteran meets the income eligibility criteria and type of case matters according to the Texas Access to Justice Foundation Grant requirements, the case placement subcommittee tries to find a volunteer attorney to represent the veterans in their legal matters. All cases are handled by volunteer attorneys, the program does not have staff attorneys that can take cases; therefore, the program cannot handle emergencies or cases that have close deadlines and cannot provide consultations outside the legal clinics. Due to the volunteer nature of the program, we are not able to place all the cases that qualify for our program. If you are an attorney, please sign up to volunteer and help us assist all the heroes that cannot afford legal assistance. The Texas Lawyers for Texas Veterans Program has served over 1,500 veterans since its inception in the Fall of 2010. More than 400 attorneys have donated over 10,000 hours of pro bono work by participating in the committee, taking pro-bono cases or attending the clinics. Also, we have non-attorney volunteers, paralegals and law student volunteers that participate in the client intake process. A solid relationship with Legal Aid of Northwest Texas, MHMR of Tarrant County, Family Empowerment Center of the Tarrant County College and the Tarrant County Family Law Bar Association is a fundamental part the program, providing and sharing resources and working together to assist the veterans in our community.